2 Free Social media Thesis Boxes for Thesis Theme 2.0. 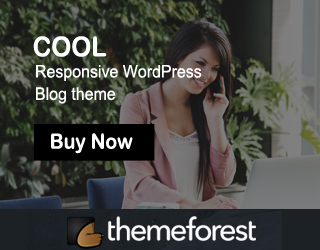 Recently Diythemes released Thesis Theme 2.0. It comes with more features like boxes, packages and skins. 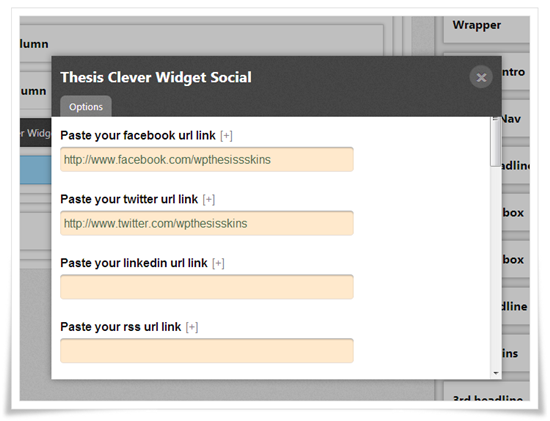 For this last week we planned to release free Thesis boxes for social media follow and share buttons. So now successfully we created boxes for social media follow and share icons. Let’s see how to use our boxes in Thesis Theme 2.0. Then click on that check box and select save boxes button. That’s all now you successfully installed our social media follow icons boxes. Once you installed boxes successfully, it will automatically go to Thesis Skin editor section. After finishing installation go to Thesis skin editor section. 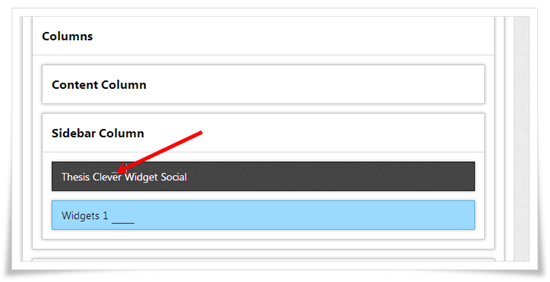 Then add our social media follow icon boxes before or after widget section as per below image. To add our boxes use drag and drop option. In our boxes admin section you can add your social media follow url like below image. You have option to disable particular social media follow icons and also you have option to disable this box. It contains 6 social media share count icons, those are facebook, twitter, google plus, pinterest, stumble upon and linked in count button. To install this box same procedure for above box, so follow above box procedure. Then add our social media share count boxes before or after content section as per below image. In our boxes admin section, you have option to disable this box(refer below image). Hey, I tried uploading this. Says can’t find the boxes.php file? Thanks for your valuable feedback…. Is there anyway to remove the background? Or wrap it? I have added it to the site bar and it over hangs can’t see how to reduce the site on it or in thesis. paste the following code to this path, thesis skin editor–> custom css section. is there any way to only display one icon? Did you asking about social media follow or social media share icons? Love the boxes! 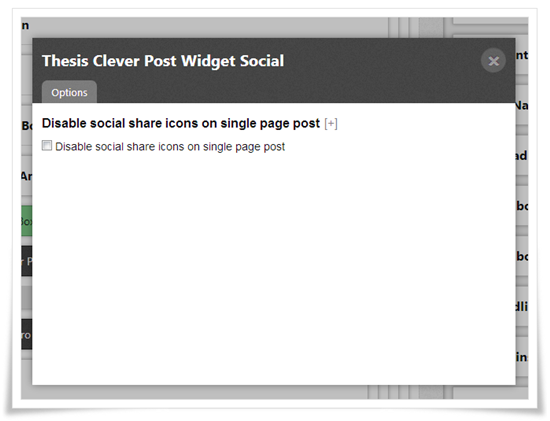 I installed both on my site, with the Thesis Clever Post Widget Social being placed only on single post pages. No matter where I place it, however, I get an odd wrap of the surrounding text. I want the social bar to be on it’s on line with a bit of padding. you’ll see the first five words of the first paragraph of the post (“It’s natural for decent people”) is to the right of the social bar, instead of below it. I’ve tried putting it in a container and a few other things, to no avail. How can I style this appropriately? paste the following code to Thesis skin editor–> CSS–> Custom Css section. Brilliant. Thank you so much for you assistance! 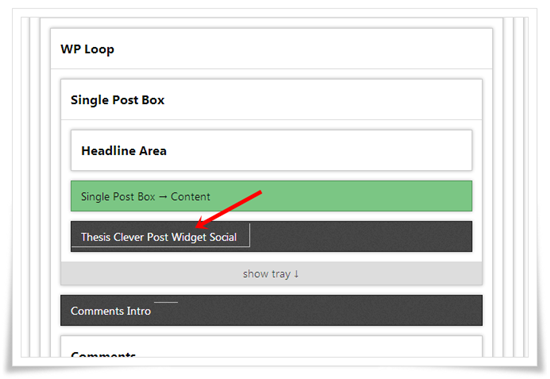 I am using your share post box and it works great when inserted into the thesis “Single” template. I want to also share static permanent pages, but when I followed the same directions to put the box in the “Page” template, it didn’t work. Suggestions? Give your template url, i will check and inform you.. I installed the box as per the instructions the same way in both templates. Appreciate your feedback. Thanks. If you put in page template, it should work.. if not work.. i will check in your admin section only..
if you ready send me your wordpress login details via our contact form.. Thought I’d let you know that the Pinterest button on the social media share count buttons box that I installed on my site, doesn’t pull any images. I had a reader report that and tried it myself. When I click on the Pinterest button, it just shows an empty box. Example: No Car Seats on Grocery Carts – Please! Someone told me I need to get different code for the button from Pinterest. ?? Sorry, one more thing. The Pinterest button has an overlap issue once pins have been made. Looks like a cool box – I got it uploaded (social like for sidebar) but when I tried to add my sites, Facebook, Twitter etc there wasn’t an option for that on the Skin page, just an option to disable on single page. Any tips on where to access the form to enter the data? I tried uploading the box to Thesis 2.1 beta but received this error. Yup, had both of these on my site and upon upgrading to 2.1, it lost all single post content. Had to delete them. Hello, I’ve installed these on my site and they look great but am wondering if it is possible to centre the content. Ive disabled a couple of the icons and so now it’s sitting slightly off to the left. Could not find the box.php file. Thanks for the social media follow box. Will definitely try it out.